To arrange your books or collectables, try the LONG ISLAND Solid Fir and Metal Industrial Shelf Tower Unit. 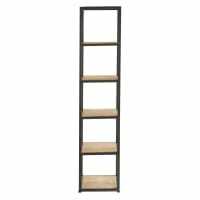 This black metal unit provides 4 spacious wooden shelves. 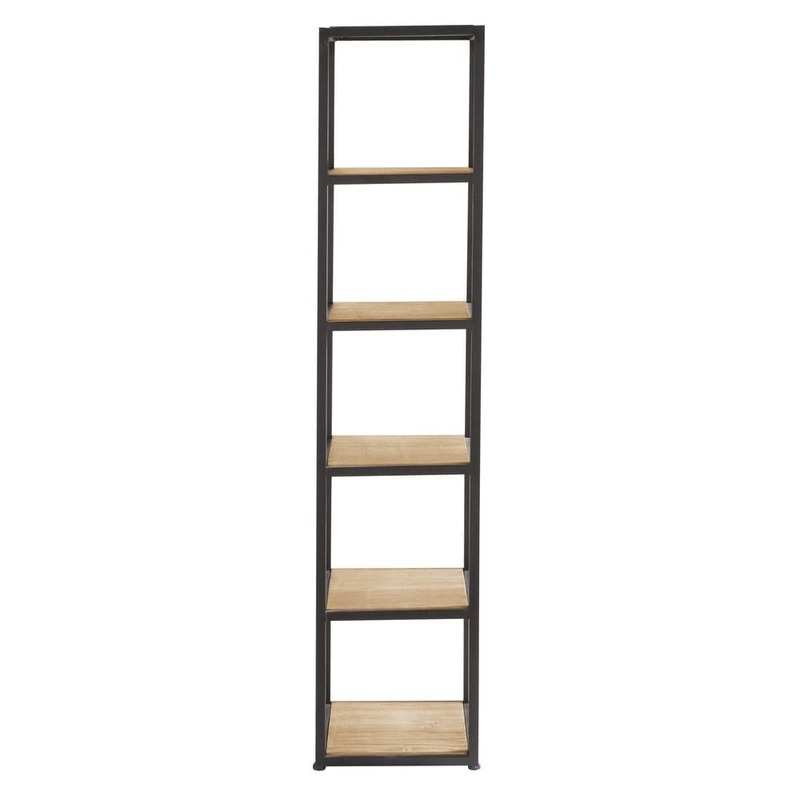 In keeping with the industrial design, this modern shelving unites wood and metal in an industrial chic style. For yet more storage, complete with the small Long Island industrial storage tower unit. 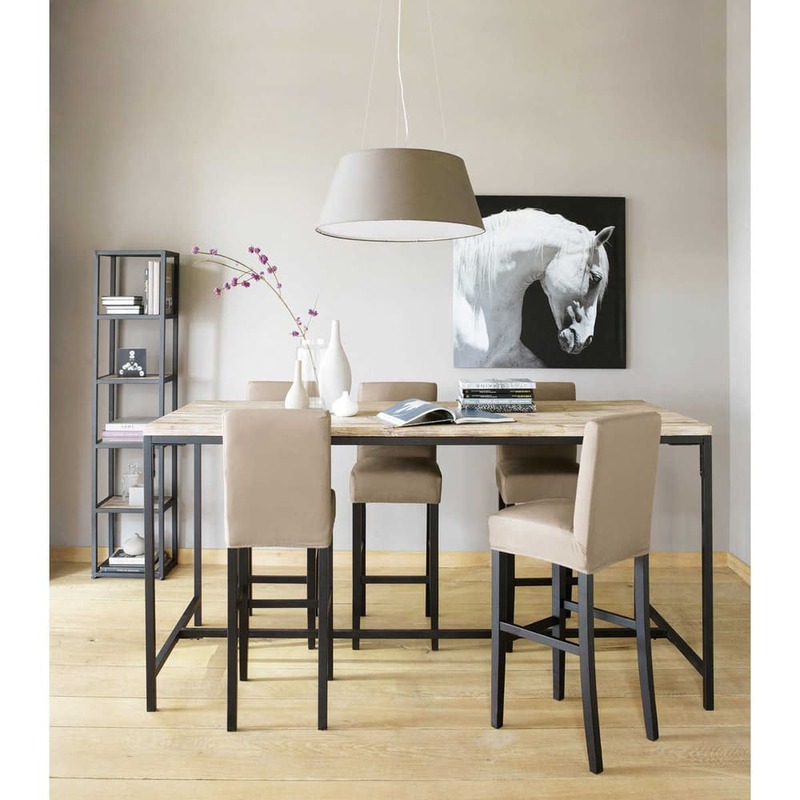 A combination of metal, light-colored wood and uncluttered lines to give your interior a sober, contemporary look. The table tops in solid fir are heavily grooved and lightly bleached. The plain black metal legs highlight the collection's very modern approach.